The Year was 1944. James got on one knee and proposed to his high school sweetheart Maxine. After serving 6 years in the Navy during WWII, James and Maxine, happily wed. They decided to settle in Southern California where James worked for the City of Los Angeles as a carpenter until he retired in 1984. 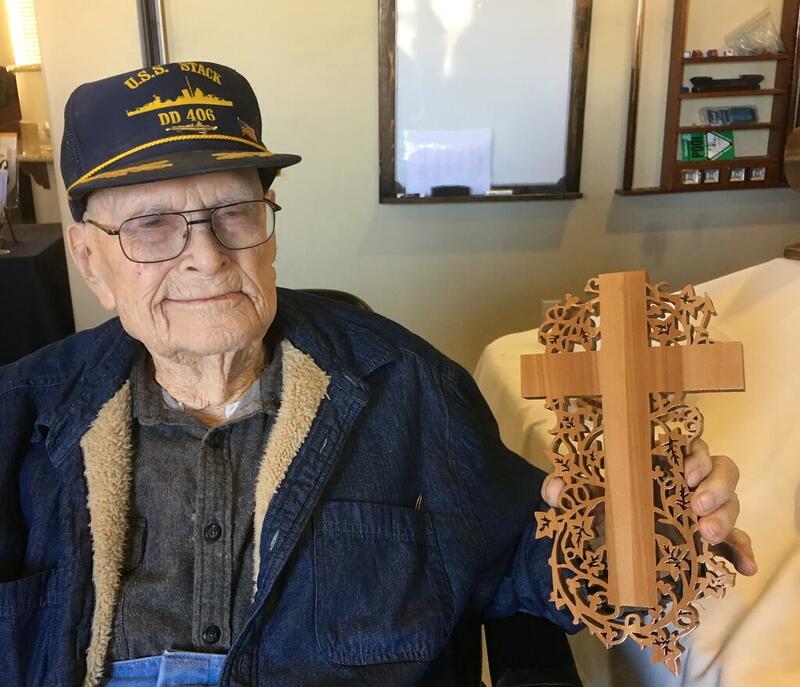 James helped build the First United Methodist Church of Reseda where he met a man who taught him how to carve wood. From that point forward, James always had a project to work on; he built bedroom furniture for his daughter and a cradle for his grandchild. He even remodeled his own home that he and his family lived in from 1949 to 2009. The year he turned 87, the couple bought a home at Eskaton Village Placerville to be close to their children and grandchildren. They chose to live in a home so that James could continue to do woodwork in the garage. James still enjoys cutting intricate designs on his scroll saw—which he learned how to use in his 70s. 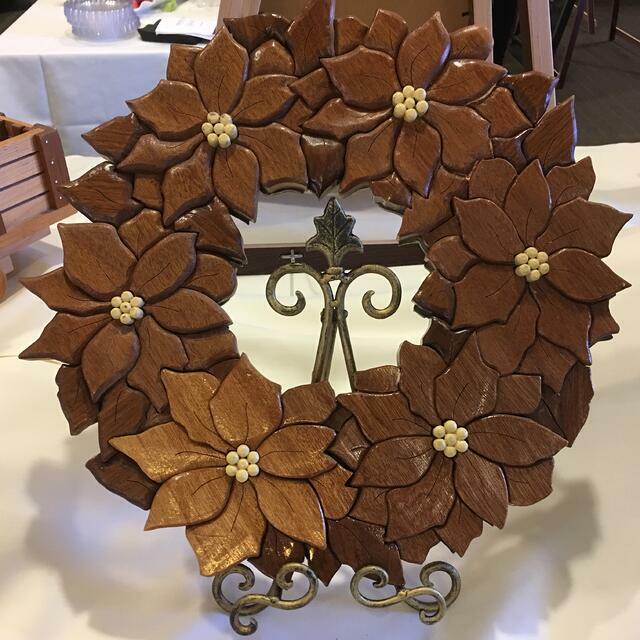 A lot of his pieces are donated to the annual Christmas Bazaar at Eskaton Village Placerville. 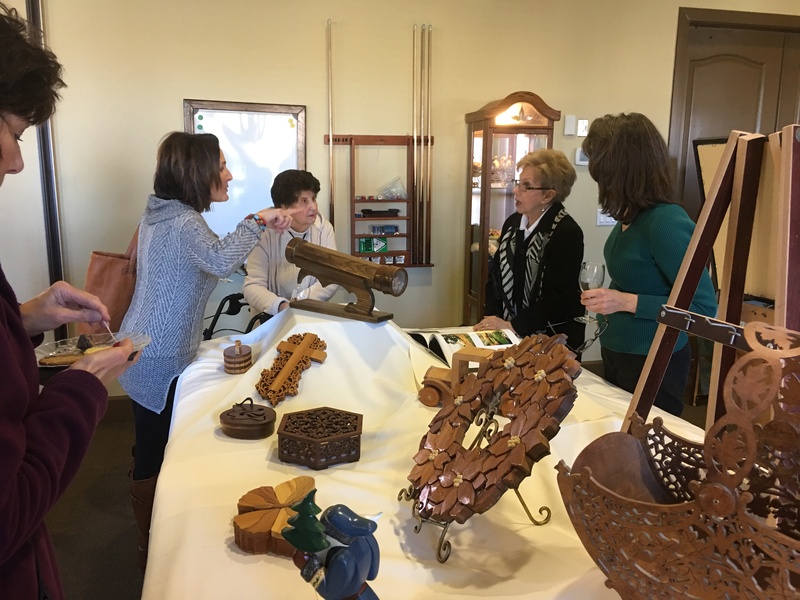 His work was displayed at the January 14, 2017, Sip and Stroll Art Show in Placerville. For more information about Eskaton Village Placerville, click here. Nestled amidst the scenic ridges above the historic town, Eskaton Village Placerville’s 63-acre campus is thoughtfully designed to complement the beautiful countryside. The Lodge offers a range of options, including independent living with services, assisted living and memory care. and short-term stays. Surrounding the Lodge are dozens of charming new rental cottages, which feature the innovative Livable Design Gold Seal of Approval, as well as nearly 50 independent patio-style homes. Learn more about Eskaton Village Placerville at http://www.eskaton.org/village-placerville.html.